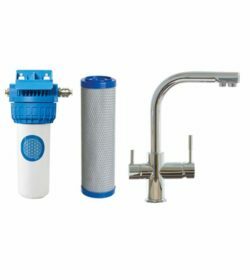 Drinking water treatment systems made and prooved in Germany to filter and enhance your drinking water. Zinc Sacrification Anodes change the structure of the lime and prevent lime scaling. 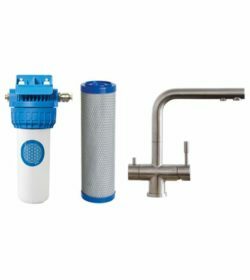 Unique tabletop and undersink filters remove over 90% of heavy metals and over 99% of toxines using most efficient charcoal cartridges. 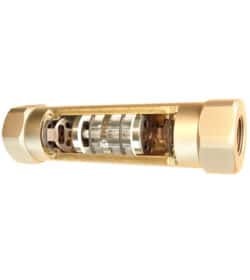 Swirlers with extensive, complex water and air ducts create vortices that vitalise lifeless water. Water-soothing microorganisms retrieve the positive energy of living water and emit beneficial information. Waterwise is based in Southern Galway. 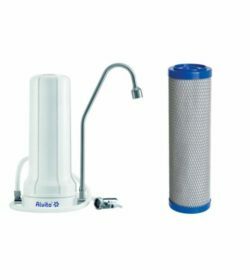 Our waterfilter products care of your health and increase your wellbeing. 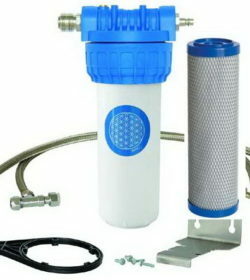 We offer natural based water treatment systems to provide you healthy drinking water. 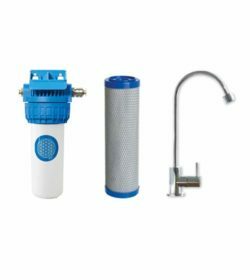 Our German made devices remove almost all substances that do not belong in natural water. Additionally they also reactivate your drinking water and enhance its biophysical effect. Finally our treating systems save your money. We only use natural processes in harmony with nature itself. Testimonial Fiona Haugh, Market House Ennistymon. The undersinkfilter and the two tap solution Alba is installed behind the counter in her cafe. 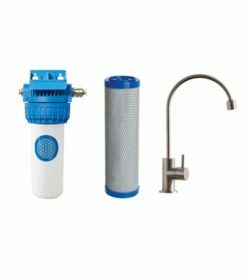 The undersink filter and the one tap solution Verona is installed in the kitchen of her dance studio. Testimonial, Nicola Knappe, Lig do Scith Bakery, Limerick. Testimonial Anne Loughrey, Gort, tabletopfilter. Crescent Shopping Centre in Limerick Dooradoyle is talking about the benefits of the water-filtration systems, we’ve installed in his shop. Visit Nature’s Hand and taste the fresh filtered water. Their drinking water was contaminated with bacteria. She gets her water from the stream. Copyright 2017 - Water Wise. All rights reserved.